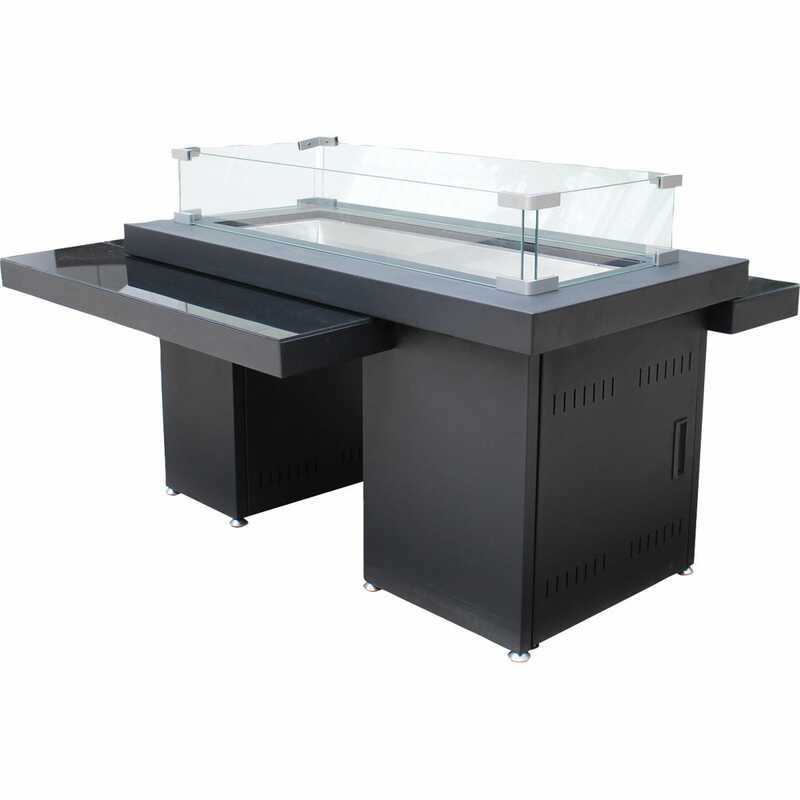 With our Propane Two-Tier Fire Table, you get no pollution, no smoke and no fuss. 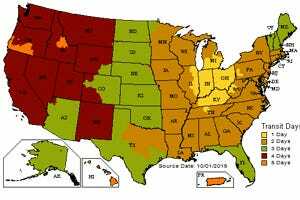 Extend the season with a heat output of 40,000 BTU’s with a heating output dia. of 15’. 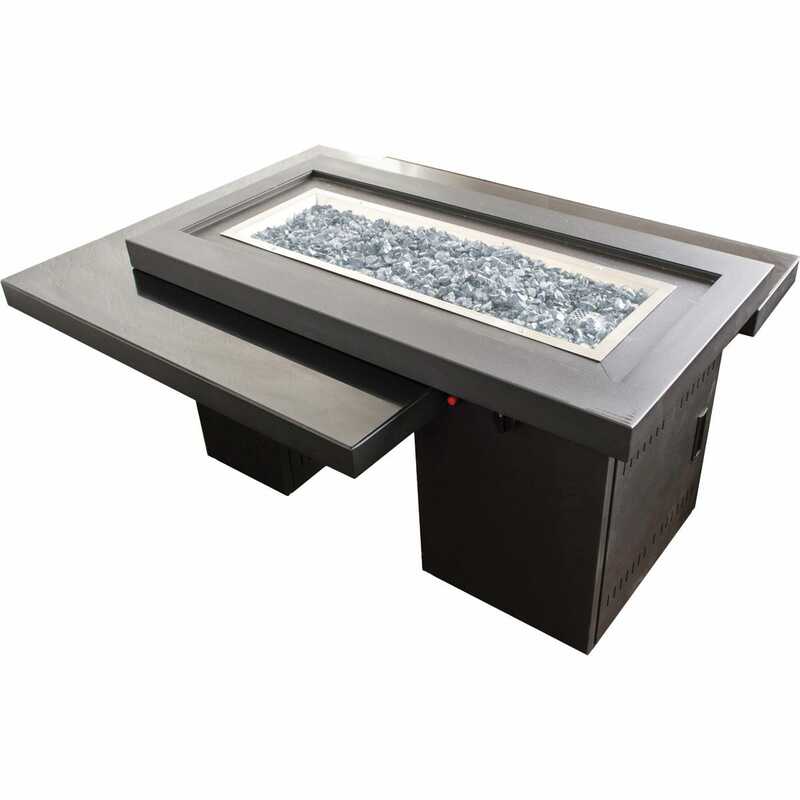 Fire Table features a glass table surface tier of 39”w x 53”l, a glass wing guard, burner area of 35”l x 12”w, variable control switch, and an easy access propane tank door. Operates on a 20-lb. propane tank. Weighs about 128 lbs. CSA approved. Please allow one week for delivery.